Alan H. Pressman, DC, CDN, DACBN, Author, Professor of Nutrition Research and the host of the highly acclaimed radio program, Healthline, passed away on April 8, 2017. With decades of experience in the field of health and nutrition, Dr. Pressman was a force on talk radio and dedicated to sharing cutting-edge alternative and medical technologies with the public so they could have choices beyond prescription drugs and surgeries. Highlighted among the 18 books he authored were: Glutathione: The Ultimate Antioxidant, The Gsh Phenomenon: Nature’s Most Powerful Antioxidant and Healing Agent and The Complete Idiot’s Guide to Vitamins and Minerals as well as The Complete Idiot’s Guide to Alternative Medicine. He was a New York State Certified Nutritionist and Dietitian, Doctor of Chiropractic, and Diplomate of the American Clinical Board of Nutrition. In the past, Dr. Pressman served as the Chairman of the Department of Clinical Nutrition and a Professor of Nutrition Research at New York Chiropractic College, as well as an Associate Professor of Bio-Nutrition at the University of Bridgeport. Founder of Gramercy Health Associates in New York City, Dr. Pressman helped thousands of patients during his over-50 years of practice. We at OmniVista Health Learning are honored to have had the pleasure of working with Dr. Pressman and to have had the opportunity to share his legacy with our community of scholars. We will miss him dearly. Prior to opening his own practice, for five years, Dr. Pescatore was the Associate Medical Director of The Atkins Center for Complementary Medicine working as the right-hand-man to the late, great Dr. Robert C. Atkins. He thrust the STAGGERING PROOF of complementary alternative therapies in the faces of mainstream medicine AND DEMANDED ANSWERS. In fact, some of the world’s most recognized natural research–on things like lycopene, lutein, brassica vegetables, and excess iron–would not even exist without his courage to stand up for true science. Jim is an assistant professor at Saint Francis University and an accomplished musician who’s enjoyed a remarkable multifaceted career as a world-class drummer, master facilitator, and award-winning educator. As a founding member of the three-time platinum, percussion-infused music group, Rusted Root, Jim co-authored the number-one hit song “Send Me On My Way,” prominently featured in the popular films, Matilda and Ice Age. During his work with Rusted Root, he’s shared the stage with iconic music legends including Led Zeppelin, Sting, The Grateful Dead, and Carlos Santana. Throughout his successful musical career, Jim discovered that layered rhythms of music possess compelling powers that go far beyond entertainment. With over 25 years of leadership, teaching, and performance experience, Jim is working to fulfill his mission in demonstrating the connective power of music and its undeniably positive effects on brain health. He’s helped thousands of people learn effective ways to consciously lead and live healthier, more productive lives. In fact, his research revealed that virtually every culture — from ancient Hindus to delta sharecroppers — has utilized techniques of sound and vibration to help promote well-being, cope with life’s challenges, and maintain vitality for centuries. Jim is one of the few experts in the U.S. to have mastered these unique brain-healing techniques and he devotes his time to teaching them. He works with a wide array of organizations, delivering highly-accessible keys to wellness and social connection through group-led music. At this very moment, some of the nation’s largest health institutions are using some of these very methods to help control blood pressure, minimize pain, and even prevent some of today’s most frightening brain diseases. Fortune 500 companies, healthcare companies, and top universities throughout the country have enlisted his expertise and revolutionary techniques in increasing mood, focus, and energy. Jim authored the book “Drum Circle Leadership” and continues to expand his reach as he travels to learning events and concerts across the U.S. and Europe changing lives with rhythm and sound. Due to his dedication to his craft, Jim was awarded with the honor of DRUM! Magazine’s 2008’s Drum Circle Facilitator of the Year as well as Best Drummer-Drum Set in the World Music and Jam Band Category. He holds a Masters in Educational Leadership from Saint Francis University, where he also serves as Chairman of the Fine Arts Department. Jim holds a BA in Classic Music Performance from the University of Pittsburgh. Currently, Jim is working in various sectors of health treatment and rehabilitation. He facilitates specialized, evidence-based training programs for people who work with individuals with disabilities and Autism, as well as those in addiction and recovery. 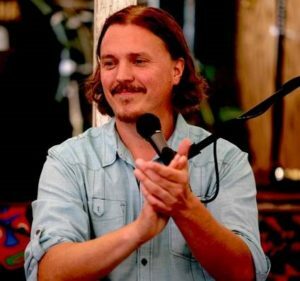 When he’s not traveling the world sharing the connective healing power of music, sound, and rhythm, Jim enjoys life in Western Pennsylvania with his wife and three children. As one of America’s leading naturopathic doctors, Dr. Stengler’s passion for natural healing infuses everything he does. If you’ve seen his weekly show on PBS, “Natural Healing with Mark Stengler,” or his appearances on the 700 club, you know how passionate he is about helping people reclaim a state of vibrant health without resorting to drugs. And if you’ve read his groundbreaking books on natural cancer treatments, you know how deep his natural healing knowledge goes. Hailed as “the leader of natural medicine’s new wave,” Dr. Stengler has quickly become one of the most trusted evangelists in the now crowded world of natural healing. And his reputation for delivering the most advanced, effective natural therapies available makes him one of the most sought after Doctors of Naturopathic Medicine in the world. But get to know him personally and you’ll see there’s much more to Dr. Stengler. He’s also a devout Christian, and he’s studied the Bible in great depth. In fact, in addition to an advanced medical degree, he holds a Masters in Religious Studies from Southern California Seminary. Dr. Stengler’s belief is that everything we need to eliminate pain and disease was given to us by God – he’s simply here to help spread the message.